Tom Pickett, Siona Gareau-Brennan and Kyle Jespersen in The Fighting Season. Photo by Javier R. Sotres. In Sean Harris Oliver’s The Fighting Season, a potentially life-altering event in a hospital in Kandahar unites three Canadian medical personnel. Returning home, the trio must come to terms with what has taken place. Each suffering from post-traumatic stress (PTSD), The Fighting Season explores what brought them to this point, and the ways in which each of them deals with what has transpired. 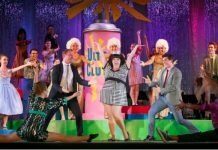 The performances under the direction of Evan Frayne are uniformly terrific. As the hospital surgeon, Tom Pickett effectively swings from the mundane to the anger of the civilian surgeon, and Siona Gareau-Brenna finds the heartbreak and confusion in the justification of her actions. It is Kyle Jespersen as the field medic though who captures the pain and conflict with such emotional depth that it is hard not to be brought to tears. Matthew MacDonald-Bain brings a wonderful soundscape to the proceedings, subtly underscoring the action for much of the evening. There are two particularly powerful scenes as patients are evacuated by helicopter, that when combined with Itai Erdal’s lighting the effect is heart pounding. Like any piece of fiction inspired by actual events, without a guide it is all but impossible to discern the reality from the fantasy. 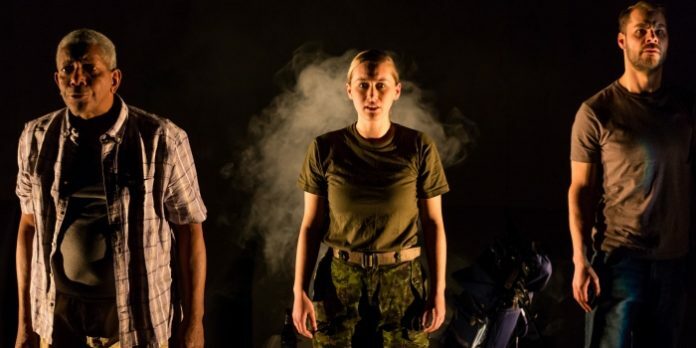 In Oliver’s play, lines are blurred as he combines the necessary drama to create a compelling narrative with the real-life experiences of his father’s time as a civilian medic in Afghanistan. The result is a story that becomes fodder for an interesting post-show discussion. Is our reaction to what we are seeing based in the knowledge it has some basis of truth? Would our reaction be as strong if we were not aware that it was inspired by the playwright’s father’s experiences in Afghanistan? Or perhaps our reaction is the same regardless, the result of an unprecedented access to war, where we are fed in real-time its horrors and heroes. Fortunately, those questions don’t way heavily on our engagement with The Fighting Season. Even as Oliver dips his toe in the esoteric for brief periods, he builds an empathy with realistic characters who are at times harrowing, horrific and heroic. The Fighting Season by Sean Harris Oliver. Directed by Evan Frayne. A Bleeding Heart Theatre production presented by The Cultch. On stage at The Cultch’s Vancity Culture Lab (1895 Venables St, Vancouver) until January 21. Visit http://thecultch.com for tickets and information.